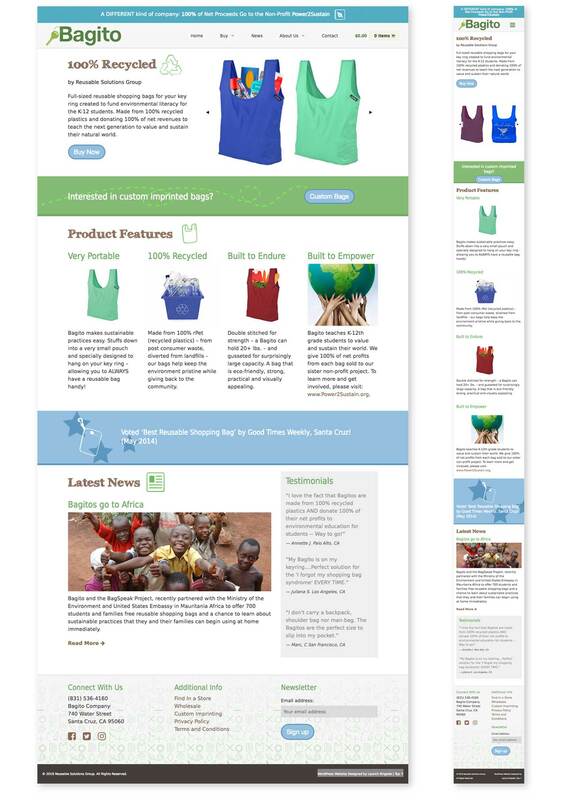 Bagito is a socially and environmentally conscious company that sells reusable shopping bags made from 100% recycled materials and 100% of the net proceeds goes to the non-profit Power2Sustain. 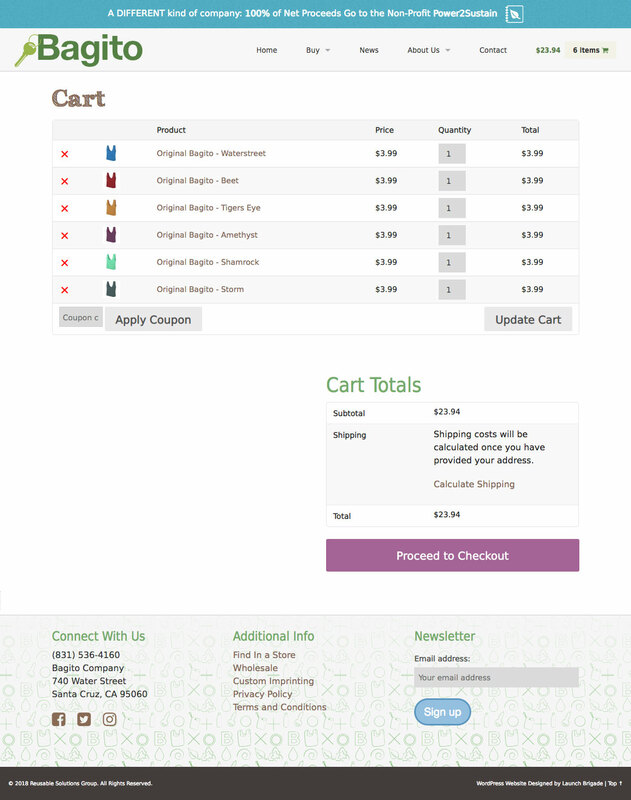 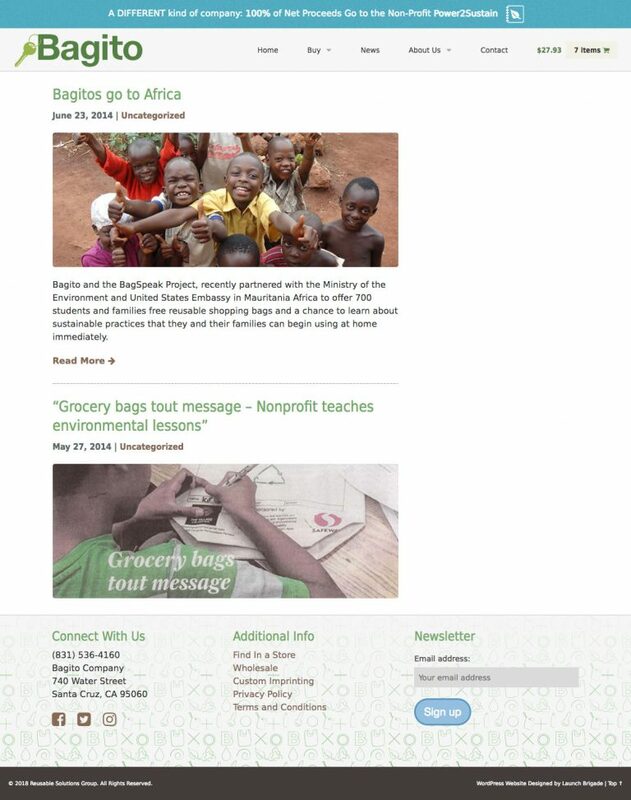 We designed the Bagito website with a focus of approachability and a beautiful shopping experience. The end result is something not only fun, but something to be proud of!